If Chinese students, feel that they are being targeted by the National Crime Agency (NCA), they are right. In a recent day of action the NCA applied to freeze nearly 100 bank accounts, mainly those of Chinese students, studying in the UK. Is it suggested by the NCA that those Chinese students are serious criminals or part of an organised crime group? Not exactly. These young people have become targets because their families use hawala to send them money from China. Many people in the Chinese and other communities use hawala, an alternative remittance system, to transfer money perfectly innocently between family members. It is a system whereby a person in one country can transfer money to a person in another country without the use of bank accounts. Hawala banking, or fei-ch’ien, is an intrinsic part of the financial system in China, and in many countries across the world. China has fewer bank branches than the UK, and has tight currency movement controls which makes hawala an attractive option for many Chinese parents. It is also often cheaper and quicker than international bank transfers. It is not, however, legal in the UK as foreign currency exchange is heavily regulated. One would not readily assume that such a system would be the focus of the NCA, whose remit is to investigate serious organised crime. The NCA’s position is that the students’ bank accounts are being used to launder money from organised crime groups (OCG): that it is the informality of the hawala banking network which allows serious criminals to infiltrate and exploit them. Account freezing orders (AFOs) and forfeiture orders [ss303Z1 to 303Z19 Proceeds of Crime Act 2002], are increasingly being used by the NCA and police as an alternative to charge. AFOs can hit those who have no direct involvement with serious organised crime and are seen as a soft option for the NCA as a way to disrupt the OCG. AFOs are granted on ex parte applications, with little scrutiny, in the Magistrates’ court. They can be devastating for the account holder, but can be challenged, and perhaps due to the relatively new nature of the orders, the police and NCA are not always applying for them correctly. Lawyers should be vigilant to challenge the premise of these orders and to ensure that applications for exclusion of funds are made, to allow their clients to continue to study and pay their university fees. Ultimately applications to vary, and judicial review may follow, but the initial challenge to the application should be rigorous. If charges and criminal proceedings do ensue, it is vitally important for lawyers to examine carefully the nature of the particular hawala system and take careful instructions on the nature of the relationship with the cash provider. 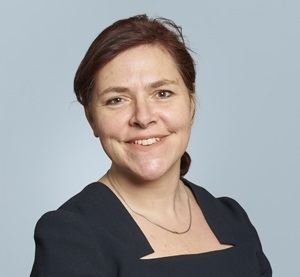 Katy Thorne QC recently represented a Chinese student who was acquitted of £2 million worth of money laundering offences having become embroiled in a hawala banking network with links to major drug dealers. Katy has also been involved in training experts in relation to hawala banking systems.